A hands-on cooking class culminating in a family-style lunch served with wine and beer. 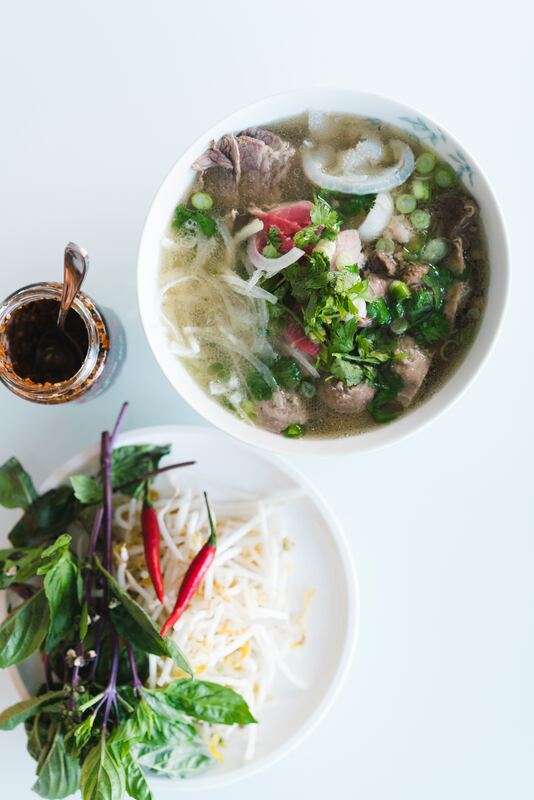 When the fog rolls into the city, Vietnamese pho is an easy option for taking off the chill; we can't wait to inhale the steam from the bowl of aromatic broth, slippery rice noodles, tender steak, and the garnish of fresh herbs and lime. If you haven't made a bowl of pho from scratch before, now's the time to try! Chef Linda will guide you through the steps of making a perfect bowl of pho, as well as a few dishes to round out a lovely lunch spread: delectable rice cakes, a crispy crepe, and a creamy dessert.